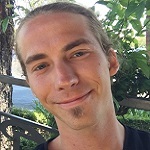 Zion Crosby attended the Haleakala Waldorf School on Maui for Kindergarten through 3rd grade and transferred to a Montessori school in Orange County, CA for two years. He finished the rest of his schooling in the public school system in southern California. His diverse experience with many different forms of education has strengthened his testimony in the urgent need for alternative methods of education. Zion has an AA in Liberal Arts from Irvine Valley College and will be pursuing his BA in Child Development at CSUN. He is currently a student of the Waldorf Institute of Southern California at Highland Hall in Northridge. His experience with the teachings of Rudolph Steiner have brought him many great insights and tools to use while working with children; however, they are merely a guide and not a dogma as his mind is always open to exploring new ideas and pathways. Zion worked at Fairmont Private Schools in Tustin as a summer camp counselor and Oakcreek Elementary in Irvine as a Playground Supervisor and Teacher’s Assistant. His last occupation was being employed by Creative Kids as a teacher for their after-school care program. Zion recently travelled to Amsterdam, Belgium, Paris, Barcelona, Dornach in Switzerland, Munich and Berlin where he found a greater appreciation for the world he lives in as well as a larger perspective on life as a whole. Zion just recently started a Dungeons & Dragons club at UHS and is running D&D camps during the summer. Zion is our “Master of Awesome” at the Atwater Village campus. His duties include playground supervision, greeting students an parents, booking field trips and substituting teaching. For more information on tutoring with Zion, click here.